I woke up today to a very chilly morning, I'm already missing the summer heat! So now to get me excited about the Fall, I need to plan some Fall activities. September is for apple picking and October is for pumpkin picking. 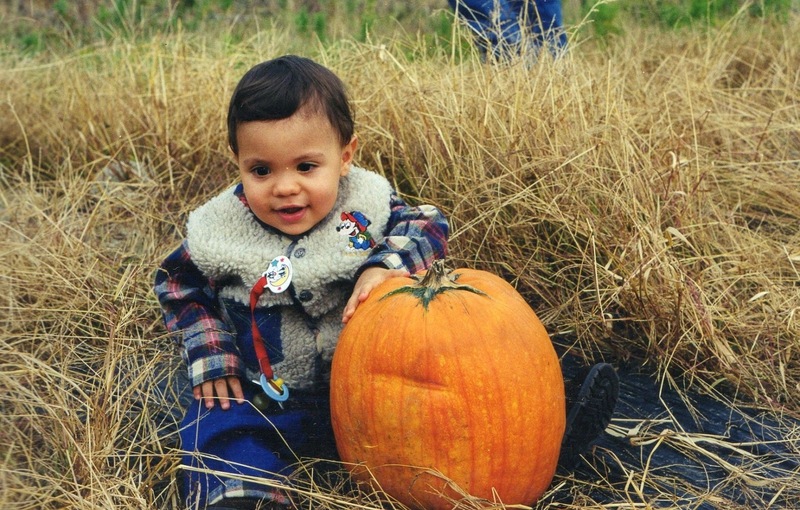 We've been pumpkin picking since my son was 1 year old! This has become our tradition, every 1st weekend in October we go pumpkin picking, it really is a lot of fun! Apple picking is something we've never done and every year I say I want to do it, but we never get around to it!! I'm hoping we can make it this year! There are many places to go, but we were invited by a friend to go to Warwick Valley Winery. Not only do they have apple picking, but they have pear picking, wine tasting and from everything I've read, it is a huge place. I've been told you can take a blanket and bring a cooler with food and you can have a nice family picnic....this sounds like something I would love!!! So, not sure if it will happen this Saturday, but I'm hoping to at least make it next Saturday! This place looks very classy and fun!! Great way to spend a nice Fall day with the family!! I love summer and spring the best. However, our favorite fall activity is probably going to the boys' soccer games. I'd like to go apple picking or to a pumpkin patch this year because we haven't been in a few years. That winery looks like lots of fun!